As most of the devotees are aware, in the Sri Ram Mandir Dwaraka complex, SHIV PARIVAR STHAPANA will be taking place on 8th March 2013. Detailed programme notice is being distributed to one and all. For any detail, the Committee Members can be contacted any time. The Delhi Bhajana Samaj and Sri Ram Mandir Managing Committee with immense pleasure wish to inform the devotees that the Vigrahams of Shiv Parivar have arrived in the Temple complex and the same have been placed under Dhanya Vasam in the main Sannadhi Hall. This will remain in the Dhanya Vasam for around 11 days. Thereafter, it will be placed under Jalaadhi (water) & Ksheera (Milk) Vasam and under Pushpa (Flower) & Phala (Fruits) vasam. 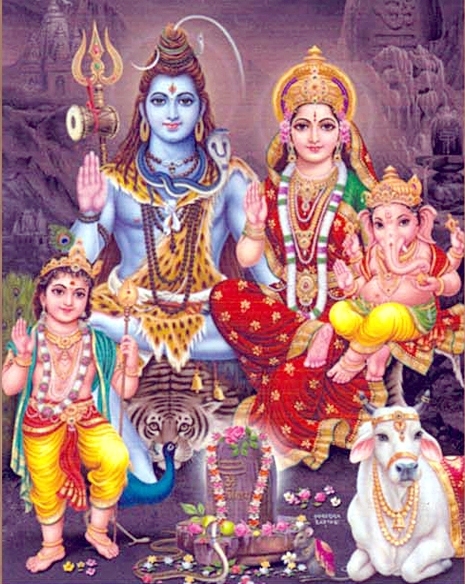 Devotees can have darshan of the Shiv Parivar Vigrahams placed under Dhanya Vasan anytime during Temple timings.